– it reduces inflammation and heals the acne scars. You can apply it on the affected area and wash after 20 minutes with warm water. -you can apply honey on the affected areas, after 30 minutes wash with cold water to close the pores and you will see some changes. Before applying, wash yourself with warm water. -applying Ice cubes on your affected areas will help to reduce pimples, redness and swelling. -peel some oranges and put the shells in the sun for drying. After drying, crush them until you obtain a fine powder. Combine the powder with water and you will get a fine paste. Apply it on the affected areas and after 10-15 minutes wash yourself with warm water. -this wonderful plant has the best healing properties for the skin. It helps at preventing acne and inflammation. You can rub the affected areas with aloe Vera gel and you will remove acne scars. -Put one cucumber in your blender. You will obtain a smooth paste, and you can easily apply it on the affected areas. Wait 15 minutes and wash your face with warm water. -Apply a drop of tea-tree oil on your affected area three times a day for maximum results. -Apply every day organic yogurt on your affected areas, and wash it after 10 minutes. -You can use lemon juice combined with roses water on the affected areas, or you can rub your face with a slice of lemon and wash yourself in the morning (or after a few hours). -mix ½ tablespoon of cinnamon with honey and you will obtain a paste. Apply it on affected areas and wash it after one hour/night. Instead of cinnamon you can also use nutmeg. – this is a very good exfoliant. It helps you get rid of dead skin before clogging your pores. It also decreases the acidity of the skin and it makes your skin smooth and soft. Mix baking soda with water, and apply it on your skin for 10 minutes. Do not worry if your skin will look easily irritated. You can prevent acne by cleaning your skin with a smooth soap and by washing your face 2 times / day. Also, if you have oily hair, wash it regularly and when you comb it try not to touch your face . 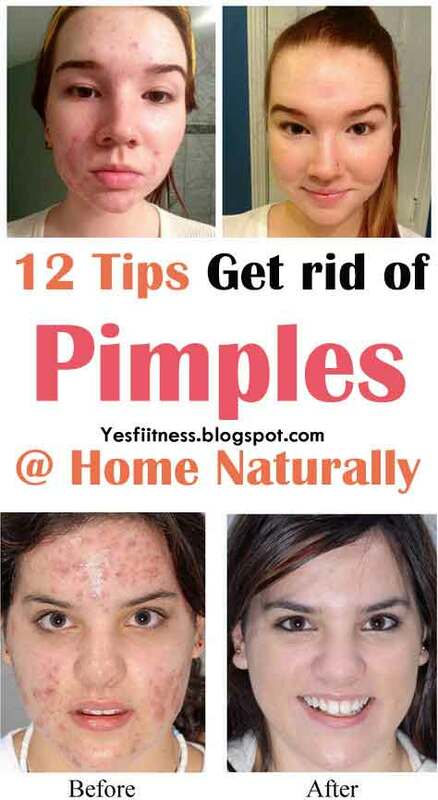 If you want to have permanent results ,use this natural remedies for long-term and will you will surely get rid of acne problems.